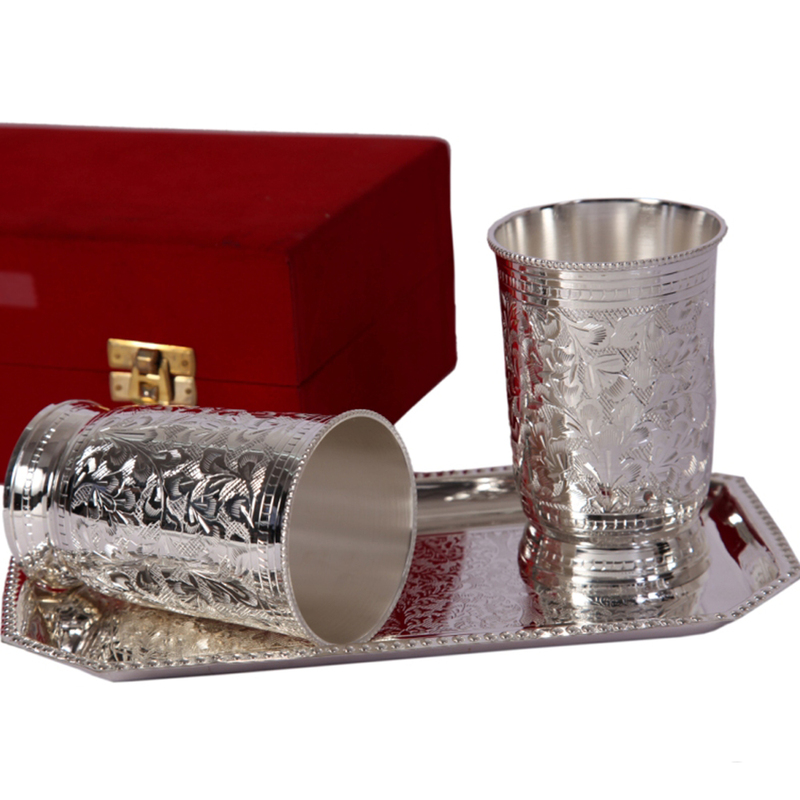 The Designer Glass Set of Two in German Silver is the ideal choice for all those buyers who intend to serve refreshments to their guests Read More..in the most aesthetically pleasing of ways available. The beautiful ornamental design patterns present of the body of the two glasses makes them a pleasure to behold, while the silver tray provides the ideal company to carry the two glasses. This beautiful set is capable of holding its own in the most elegant and classy of households. Show Less..